Using the standard Biblia Hebraica Stuttgartensia (BHS) text, the Hebrew-English Old Testament displays the ESV Old Testament alongside the original Hebrew. On each spread, one page shows the English rendering of a passage while the other shows the Hebrew, enabling readers to work through either language undistracted and uninterrupted. A durable hardcover and Smyth-sewn binding ensure this volume will last for many years. 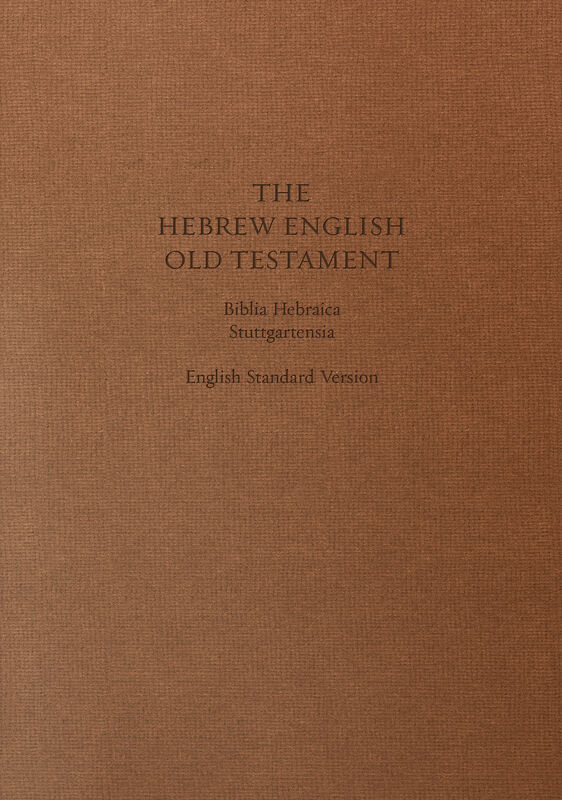 Anyone learning or proficient in Hebrew will find this a resource for everyday reading and study, as well as a comparison tool to see how the ESV translates Old Testament passages.